Government refuses opposition parties participation in the preparatory meeting in Addis Ababa. Transportation crisis in Omdurman and Khartoum North (Bahri). United States welcomes the Sudan Revolutionary Front's announcement of cessation of hostilities. EU ambassadors conclude their visit to Damazin. 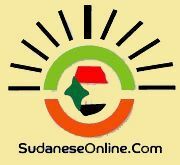 Sudan sends third batch of troops to Aden. First Vice-President address parliament next Monday. First-term holiday for Khartoum schools starts today. Agreements between Khartoum and Moscow in the fields of mineral exploration, mining and communications. North Darfur officials survive plane incident. Social Welfare ministry: major campaign to reduce maternal mortality in Sudan. Government has not yet received an invitation to the negotiations of the two areas. A presidential directive to contain deadly fever in Darfur. Sudan MPs demand strengthens Islamic awareness to prevent young from joining ISIS. Border crossings committee between Egypt and Sudan recommends the abolition of unnecessary fees. Foreign Minister: solving the Syrian issue lies in political dialogue and negotiations. Gedaref Wali (Governor) calls for borders demarcation between Sudan and Ethiopia. South Sudan expels Luka Boing for criticizing division of his country into 28 federal states.